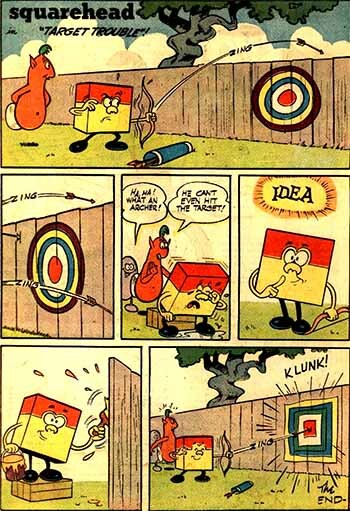 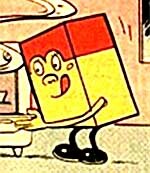 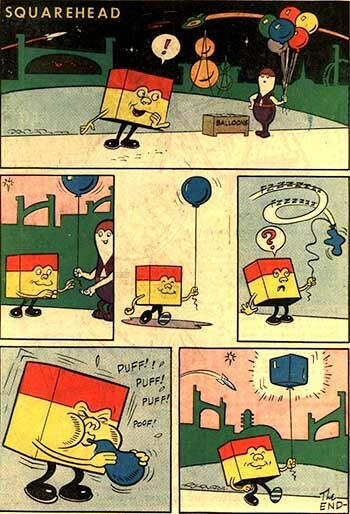 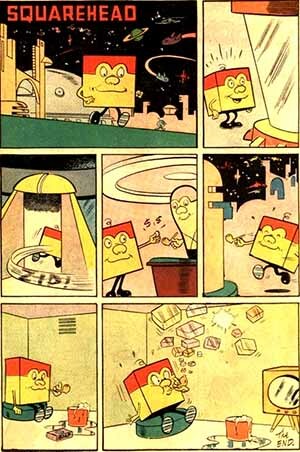 First Appearance: Cosmo the Merry Martian #1 (Sep. 1958): "[Soap Bubbles]"
Squarehead is an alien whose body is shaped like a cube. 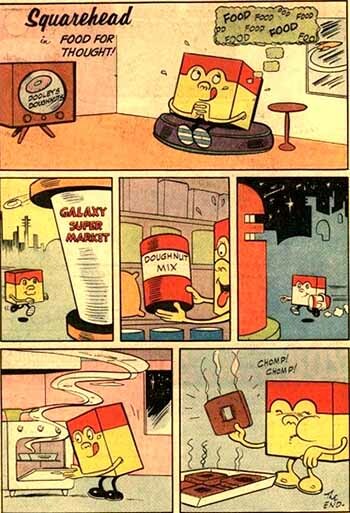 He clearly does not belong to the same Martian species as Cosmo the Merry Martian, but he appears to live on the same planet. 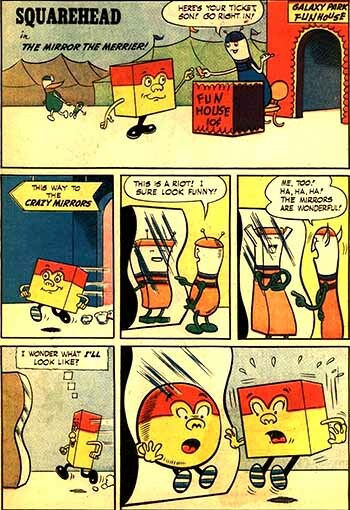 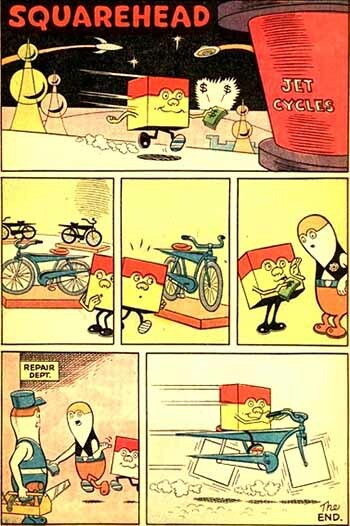 In four of the six one-page Squarehead strips published in Cosmo the Merry Martian comics, Squarehead interacts with characters who look like they are Martians of the same species as Cosmo.